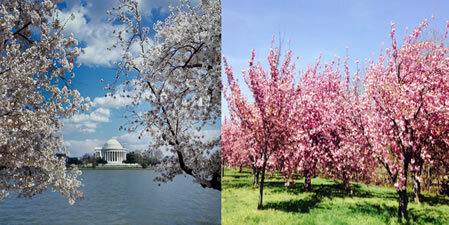 It's Cherry Blossom time in Washington DC! As the buses headed to Capitol Hill Club for Aleethia’s “Friday Night Dinner,” there were views of the beautiful Cherry Blossoms tree around downtown DC. 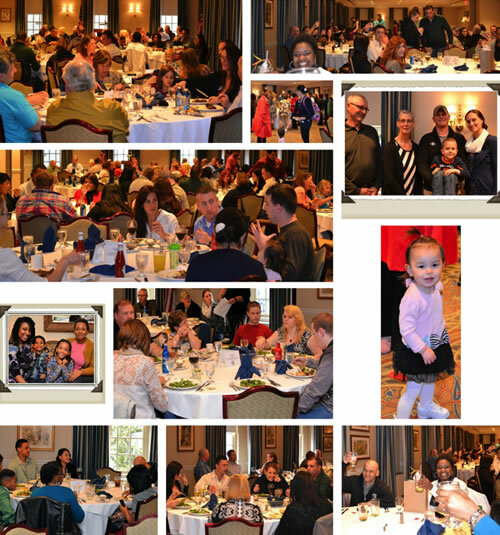 Over 90 service members, family members and guests enjoyed a delicious four course dinner including an assortment of desserts. 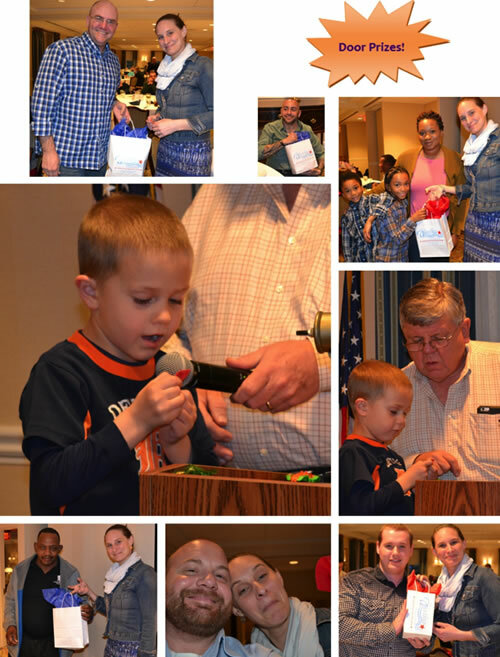 One of our “younger guests” took on the role of door prize announcer…well done Liam! 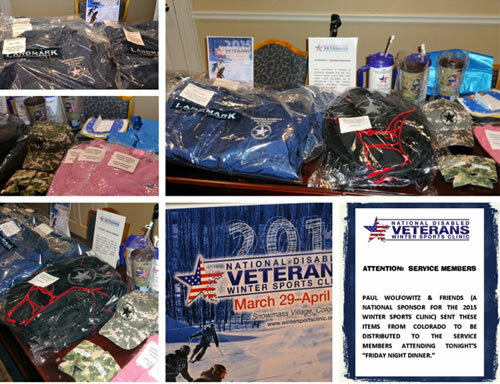 The giveaway tables were filled with wonderful items from the recent DAV Winter Sports Clinic and goodie bags. 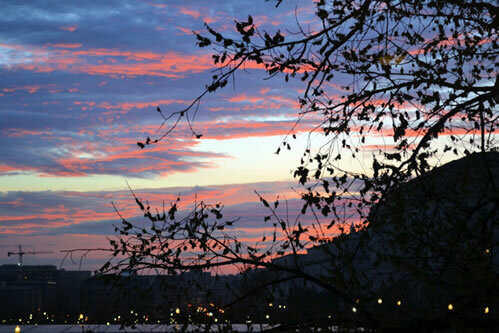 As the evening was coming to an end, an awesome sunset was seen through the windows. 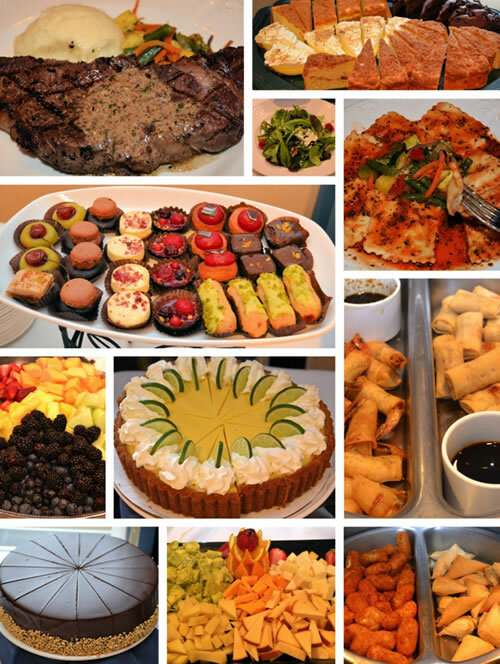 A huge THANK YOU goes to the staff of the Capitol Hill Club for your warm and friendly hospitality and assistance with our many special requests!